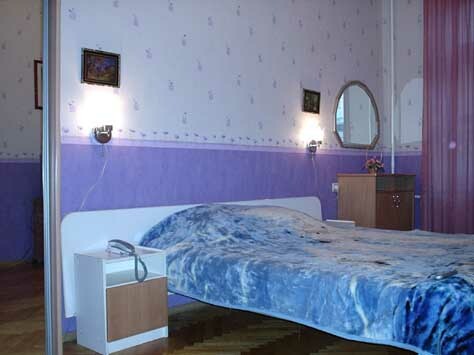 wohnungen im Sankt-Petersburg Stadtzentrum zu vermieten nur fur 60 Euro/Tag. 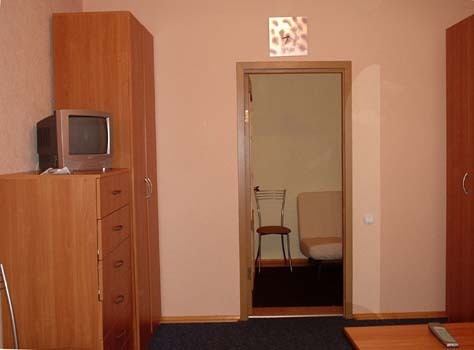 wohnungen im Sankt-Petersburg Stadtzentrum zu vermieten nur fur 70 Euro/Tag. 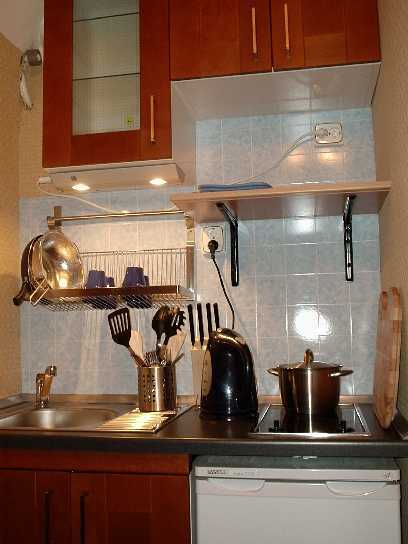 Wenn Sie eine sparsame Reise nach Sankt-Petersburg planen und nicht in unseren Luxus Wohnungen wohnen mochten, konnen wir naturlich ihnen eine alternative Moglichkeit anbieten. Mit unserer Hilfe konnen die Wohnungen in jedem Bezirk der Stadt mieten, fur beliebige Fristen. 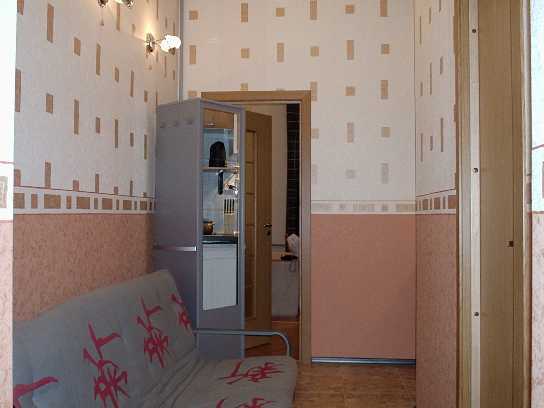 Z.B., die Miete der guten Einzimmer Wohnung in der Sankt-Petersburg Stadtzentrum oder in der Nahe von Stadtgrenze wird fur sie 40-80 Euro pro Tag kosten oder 700-1200 Euro pro Monat. Wir wahlen unsere Vermieter sehr sorgfaltig aus und sind personlich mit denen bekannt. Alle sind zuverlassige Leute. Zimmers bei Gastfamilie. Alle Preisen enthalten schon unsere Gebuhre. 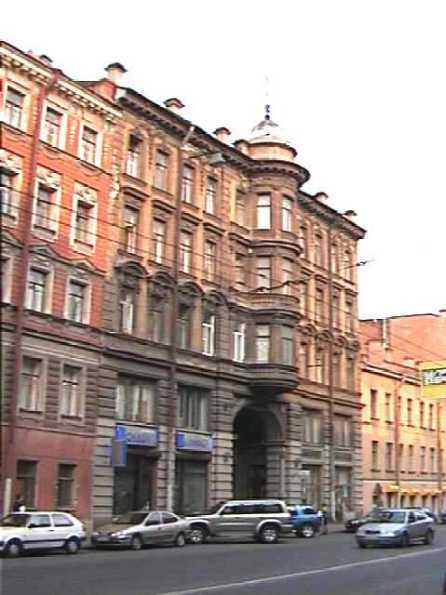 Recently refurbished (in 2005) to western standards this Wohnung in Sankt-Petersburg is located in the city centre. 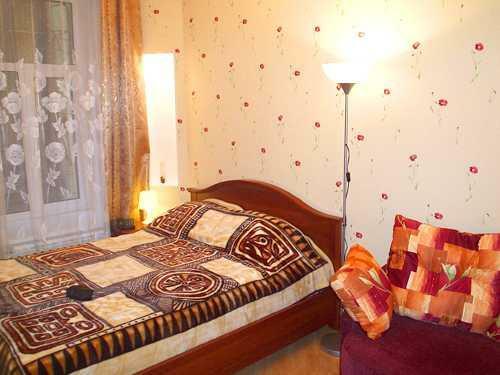 The Wohnung is 10 minutes walk from Nevsky Prospect, Moscow railway and Ploshad Vosstaniya metro station. Entrance from yard, windows overlooking quiet yard, locked entrance to the building. First floor of six-storeys building. 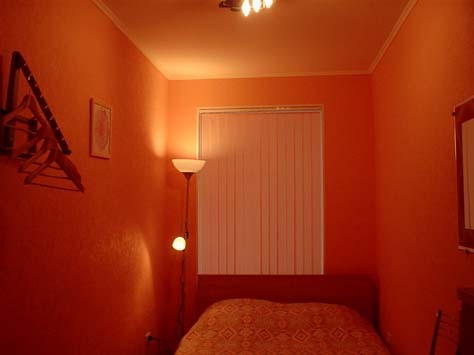 The Wohnung consists of three rooms: two adjoining and one isolated. 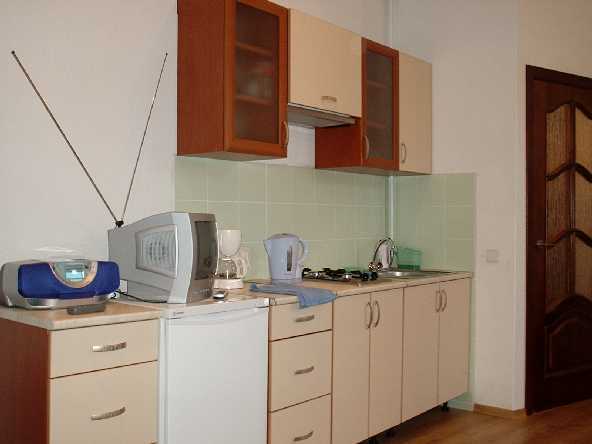 Equipped kitchen, washing machine, TV. Can sleep three couples. Long term rent is possible. 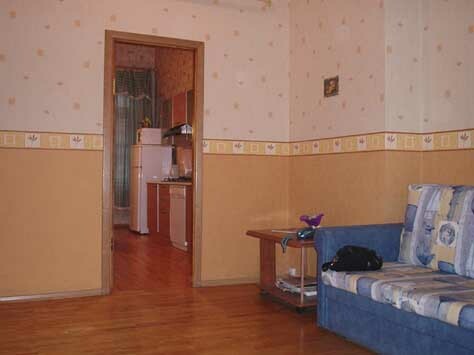 Rent this Wohnung in Sankt-Petersburg located on one of the nicest streets in town. 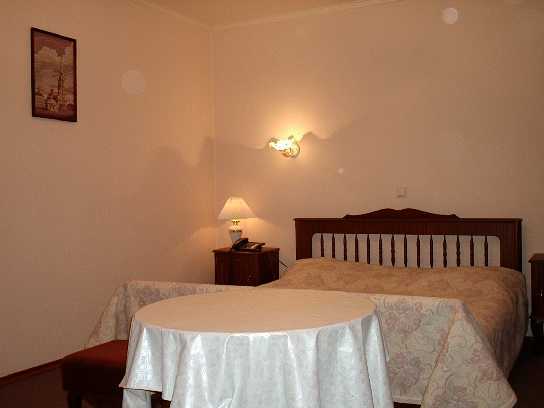 Palace Square, Hermitage, Spilt Blood cathedral, field of Mars, Marble palace – are all within 3 minutes walk from the Wohnung; picturesque Palace embankment – one minute walk from the flat. 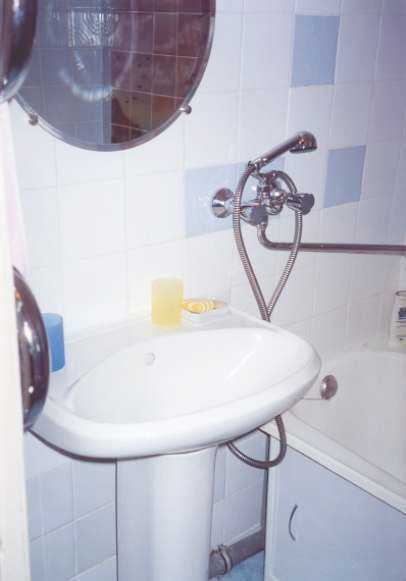 Repairs in the Wohnung completed at the end of year 2004. 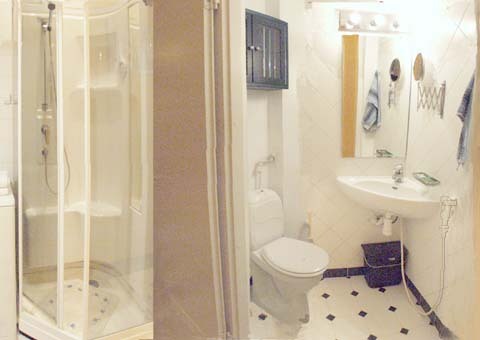 First floor of 4-storeys building, entrance from a renovated yard, equipped kitchen, satellite TV, shower cabin with bath tub. 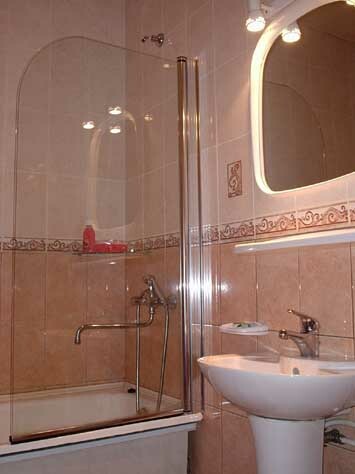 The Wohnung easily accommodates 4 guests. 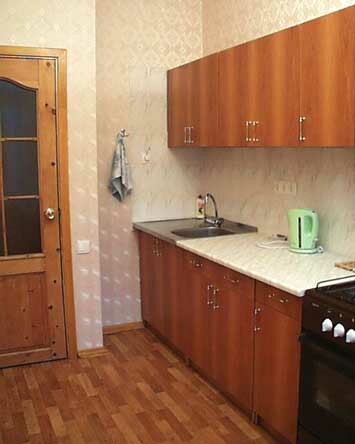 Long term rent is possible. 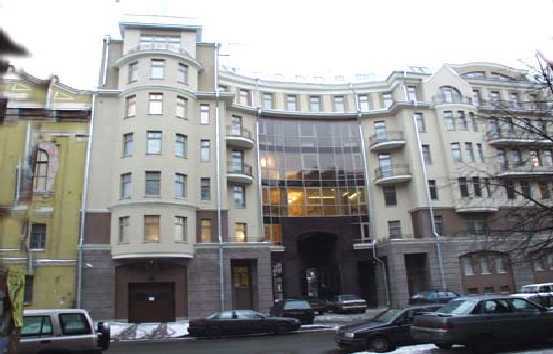 Recently renovated (2005, western-standard) Wohnung located in a quetish part of Sankt-Petersburg center - between Pushkinskaya and Senaya metro stations and near Fontanka river embankment. 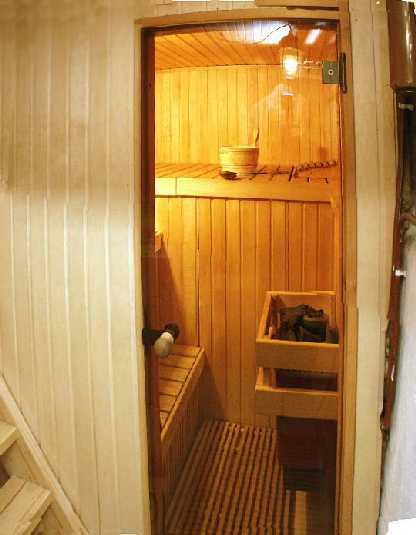 It is in a well-known Rasputin's house. 5th floor of the 5-storeyed house. 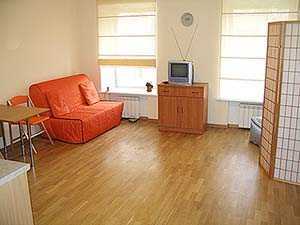 The Appartment features bedroom and kitchen-living room and can sleep 2 couples. Entrance from the yard, windows overlooking this quiet yard, equipped kitchen, TV. Long term rent is possible. 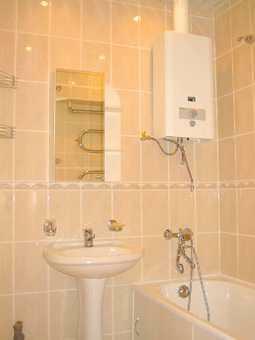 Renovated in 2004, this Wohnung in Sankt-Petersburg centre is located just five minutes walk from "Gostiniy Dvor", "Sennaya Sq." metro stations and Nevsky prospect. The building has recently gone through renovation. 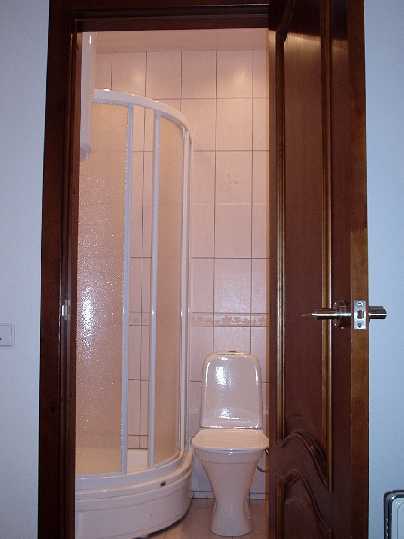 The Wohnung is on the 5th floor of the 6-storeys building with a lift, clean, secured entrance from the street. 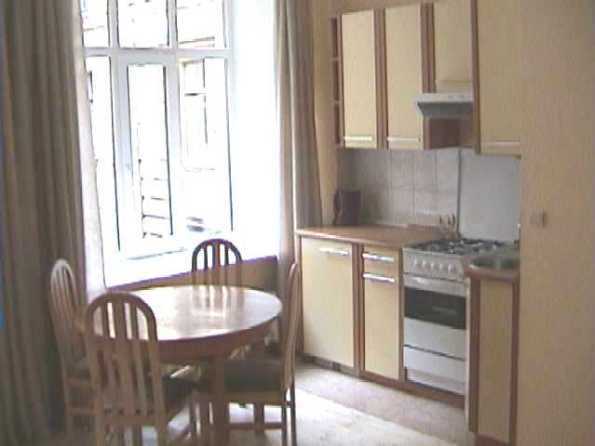 Sound-proof windows, equipped kitchen, washing machine, TV, always hot water. 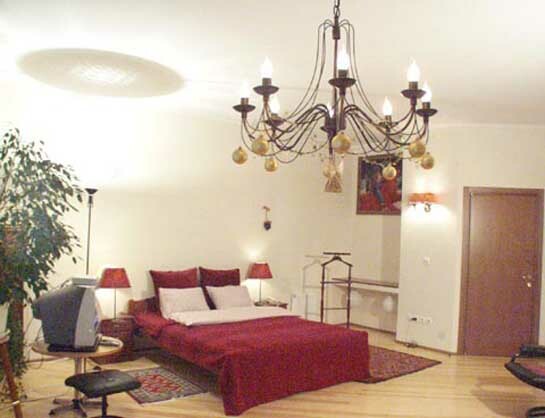 The Wohnung easily accommodates 2 couples. Long-term rent is possible. 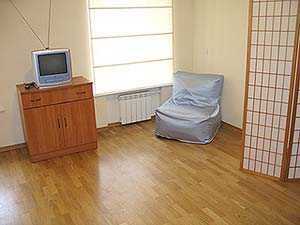 Rent this new western-standard Wohnung in Sankt-Petersburg best district, between Palace and Isaac Squares, just opposite the Admiralty. 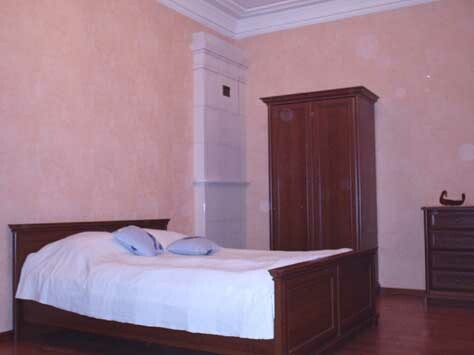 One minute walk from the Hermitage, St. Isaac's Cathedral and Nevsky Prospect. The flat is on the second floor of five-storeys building, windows overlooking yard. 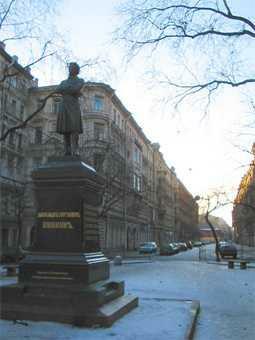 Repairs finished in 2004. 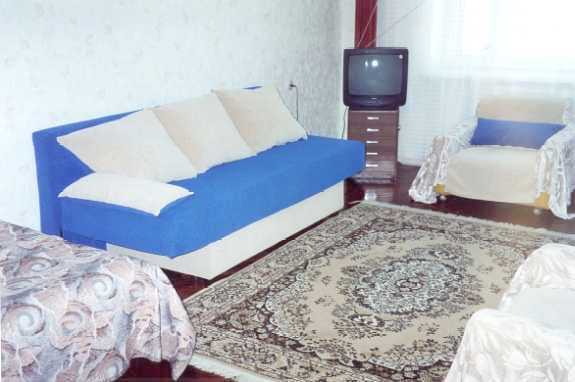 Fully equipped kitchen, comfortable furniture, satellite TV, VHS, music set. 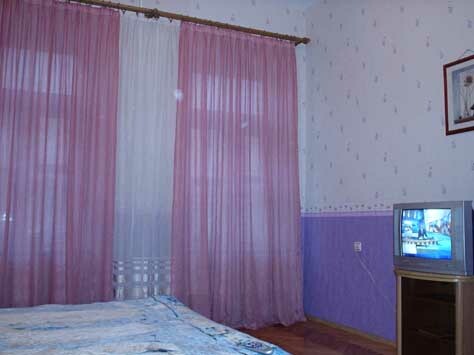 Ideal for a couple or one guest. 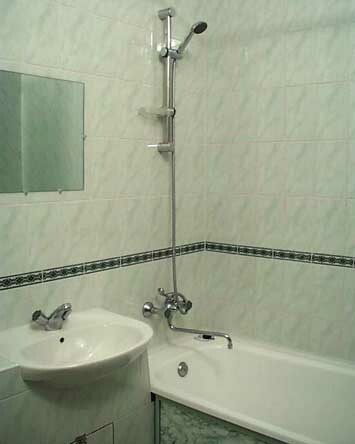 Long term rent is possible. 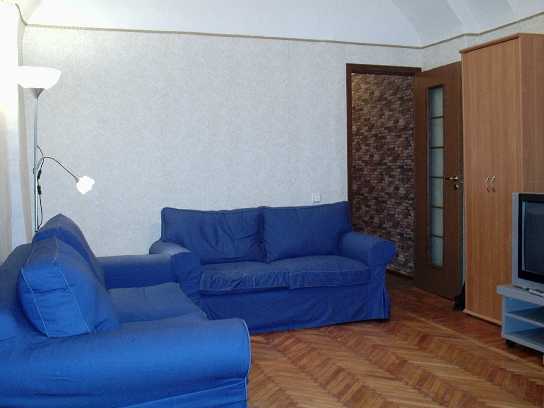 Rent this flat in Sankt Petersburg and get one of the best quality/price combinations. 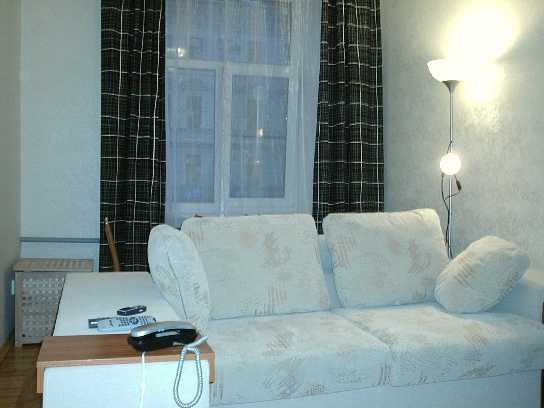 This studio Wohnung is located on Sankt-Petersburg main street, Nevsky Prospect and is between "Ploshad Vosstaniya" and "Ploshad Alexandra Nevskogo" metro stations. 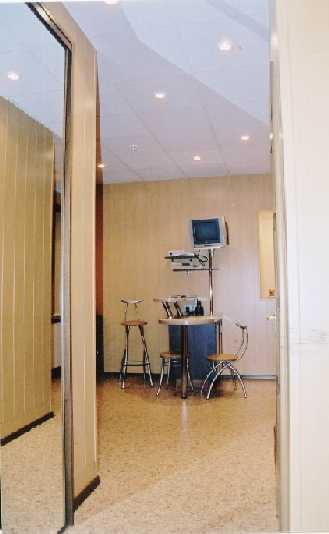 The studio was refurbished (in 2004) to western standards, entrance from yard, soundproof windows overlook the yard enabling no outside noise inside the Wohnung. Fifth floor of 6-storey building. 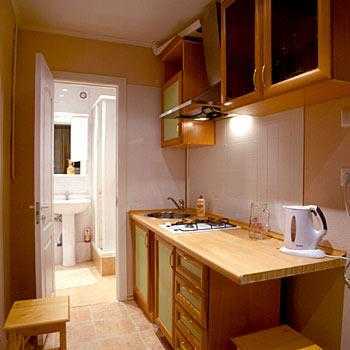 The studio features equipped kitchen, washing machine, TV. 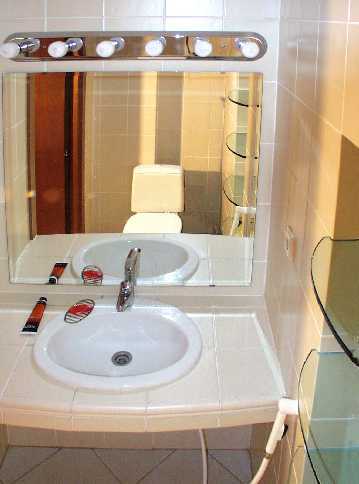 Ideal for a couple, but can sleep 3 persons. Long term rent is possible. 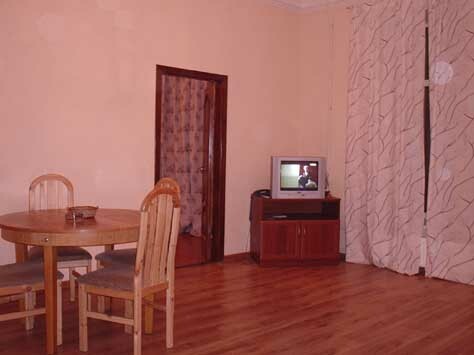 Recently renovated (2004, western-standard) Wohnung located in a quetish part of Sankt-Petersburg centre - between Pushkinskaya and Senaya metro stations and near Fontanka river embankment. It is in a well-known Rasputin's house. 5th floor of the 5-storeyed house. 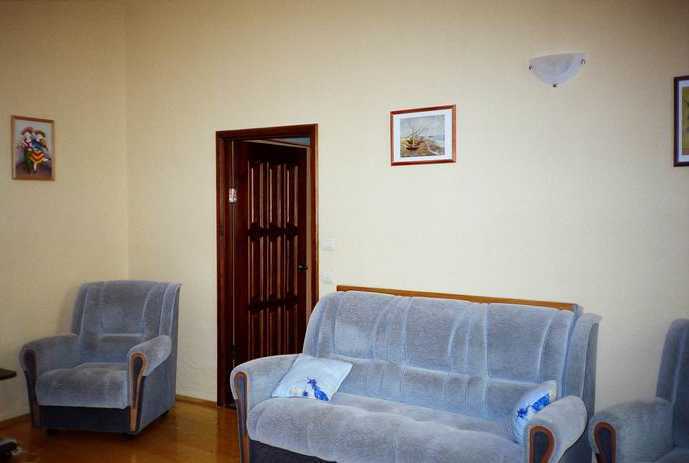 This is a small, but very cosy Appartment ideally for a couple. 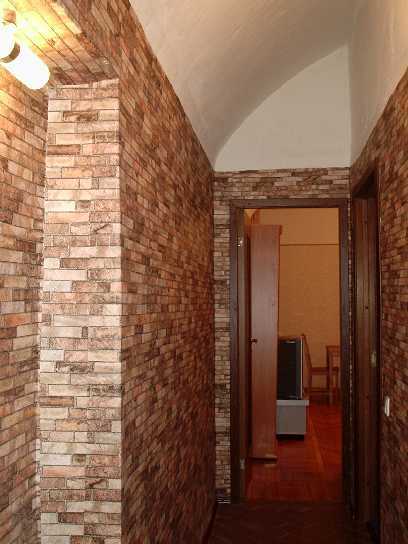 Entrance from the yard, windows overlook quiet yard, equipped kitchen, TV. 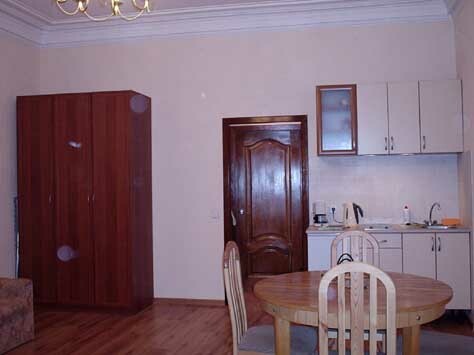 Long term rent is possible. 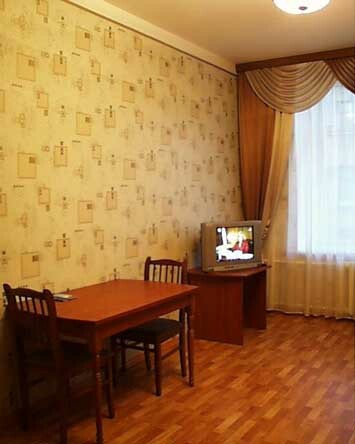 Recently renovated (western-standard) Wohnung located in a quetish part of Sankt-Petersburg center - between Pushkinskaya and Senaya metro stations and near Fontanka river embankment. It is in a well-known Rasputin's house. 2nd floor of the 5-storeyed house. 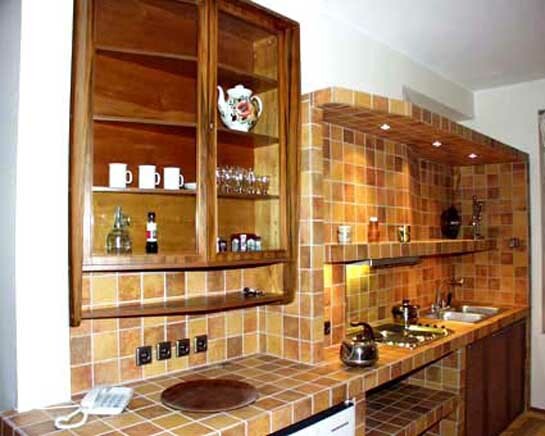 The Wohnung features kitchen-living room and a bedroom and can accommodate up to 2 couples. 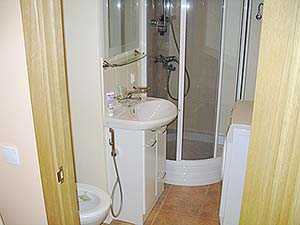 Entrance from the yard, windows overlook quiet yard, equipped kitchen, TV, two WC, washing machine. Long term rent is possible. The Wohnung (western-standard) is in a new, elite house located on Vasilevsky Island - one of the most picturesque parts of Sankt-Petersburg. 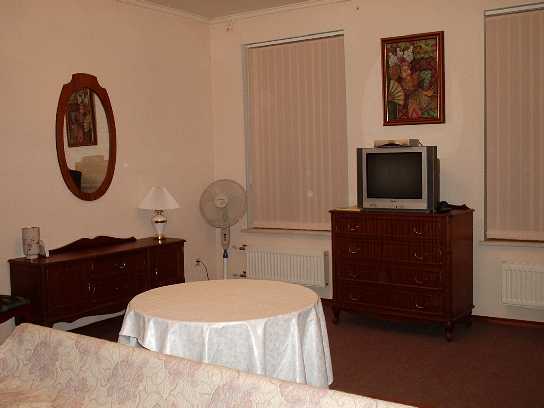 It is within 8 minutes walk from Vasileostrovskaya metro station and one stop from Nevsky Prospect - the central metro station in Sankt-Petersburg. 2nd floor of the 6-storeyed house. 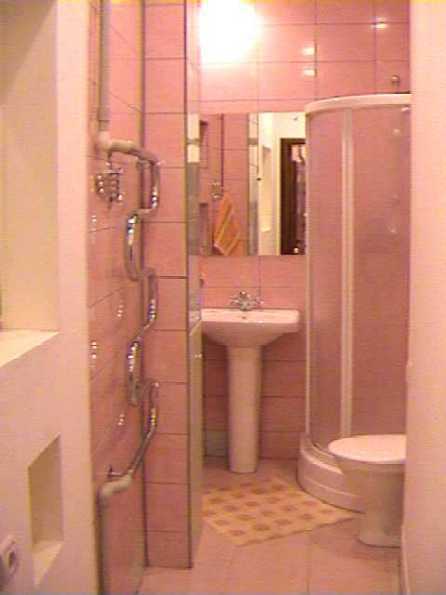 The Wohnung as well as the whole house meets the latest living standards: fully equipped kitchen, heated floor, 2 WC (shower cubicle and toilet), water clearing system in both apartment and the house, washing machine, TV. 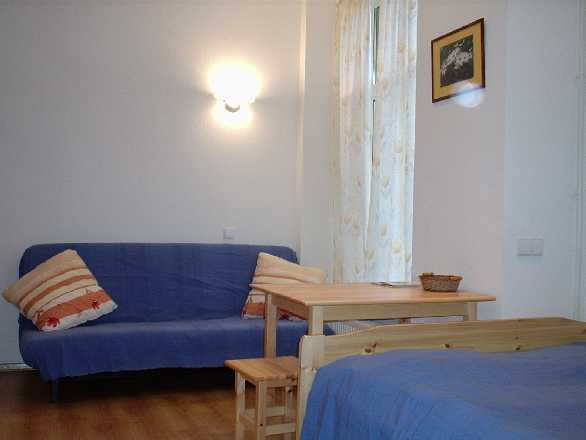 Very cosy and comfortable apartment ideally for a couple, but can accommodate 3 guests. 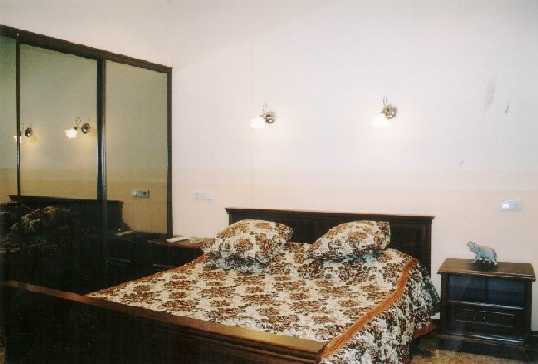 24-hours security, concierge, car parking under the house, cosy yard. Long term rent is possible. 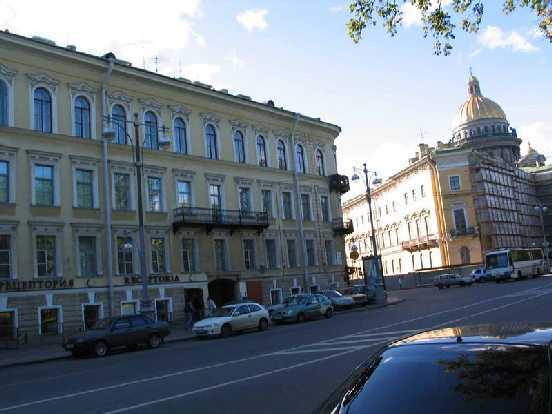 The Wohnung (western-standard) is situated on Vasilevsky Island - one of the most picturesque parts of Sankt-Petersburg. 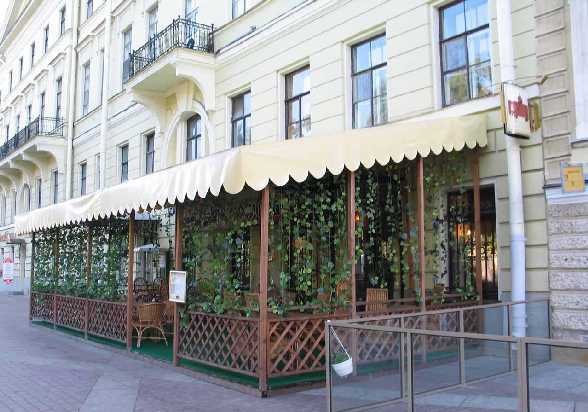 The Wohnung is within 3 minutes walk from Vasileostrovskaya metro station and one stop from Nevsky Prospect - the central metro station in Sankt-Petersburg. 1st floor of the 5-storeyed house. 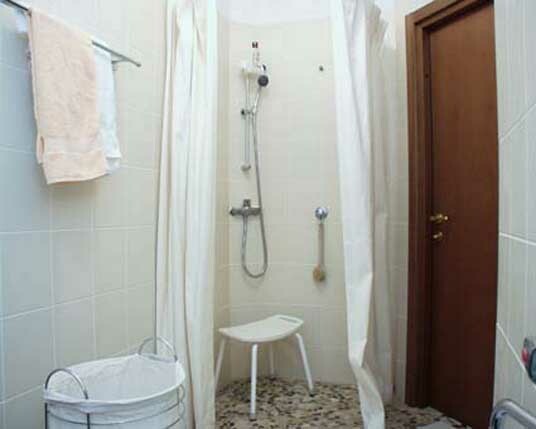 The Wohnung features fully equipped kitchen, shower cubicle, sauna, washing machine, TV. 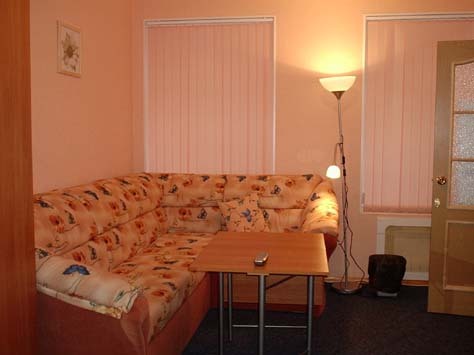 Very cosy and comfortable Wohnung ideally for a couple, but can accommodate 3 guests. Windows overlooking yard, secured entrance from the yard. Long term rent is possible. 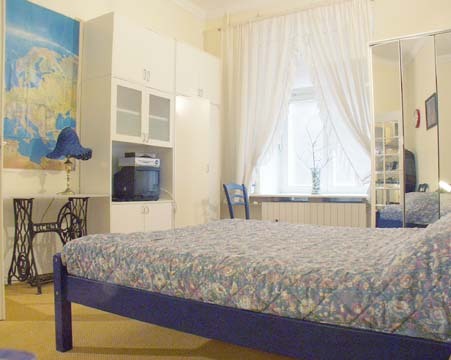 Small but cosy Wohnung situated just 1 minute walk from Nevsky Prospect and close to most Sankt Petersburg attractions, Hermitage is only 3 minutes walk from the Wohnung. 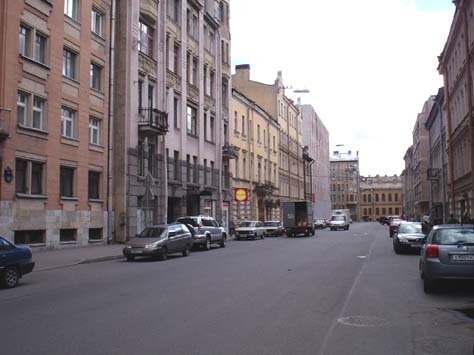 One of the best locations in Sankt-Petersburg. 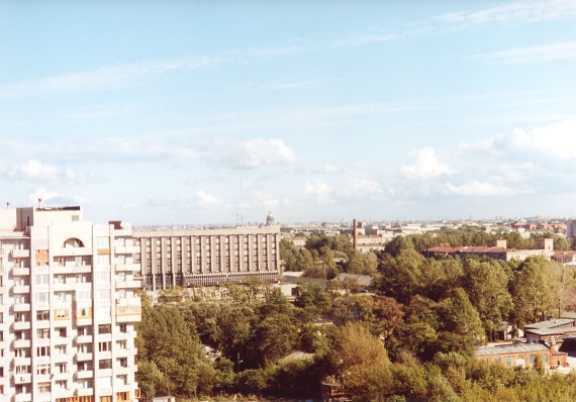 Nearest metro station - Griboedova Channel. 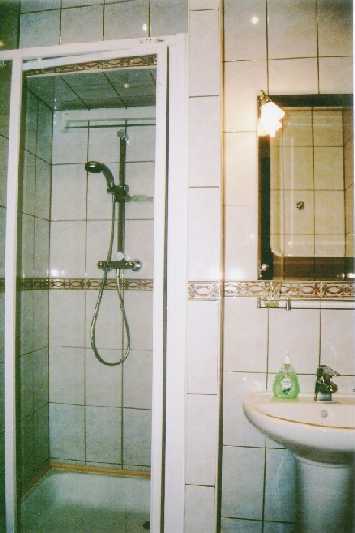 Repairs in the Wohnung completed in 2004, western-standard. 2nd floor of the 5-storeyed building. 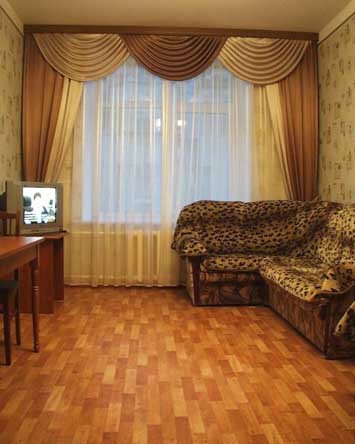 Windows overlook Konushenaya street, sound-proof windows ensures no street noise inside the Wohnung. 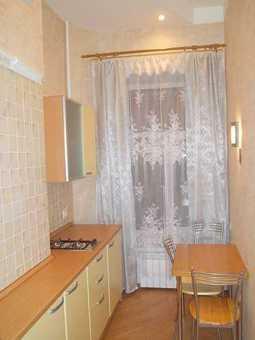 This Wohnung features: bedroom, equipped kitchenette, satellite TV. 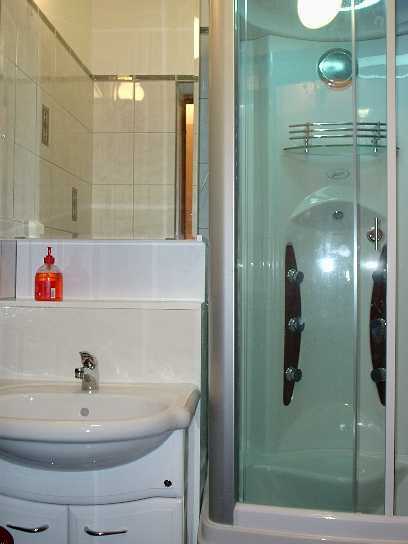 Ideal for a couple, but can sleep 3 persons. Long-term rent is possible. 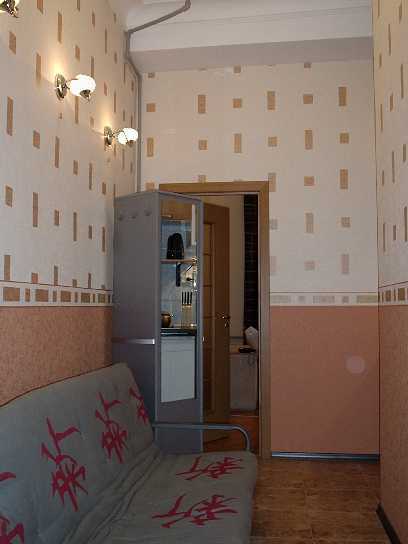 This western-standard Wohnung in Sankt-Petersburg is situated on the main street, on Nevsky Prospect, between Ploshad Vosstaniya and Ploshad Alexandra Nevskogo metro stations. 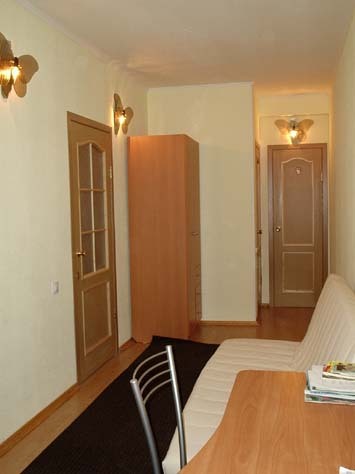 Entrance from a yard, secured entrance, excellent view over Nevsky from the flat's windows. Due to sound-proof windows there is no street noise in the Wohnung. 2nd floor of the 3-storeys building. 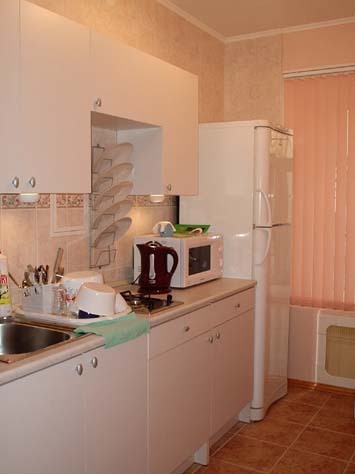 Fully equipped kitchen, washing and dishwashing machines, bath. 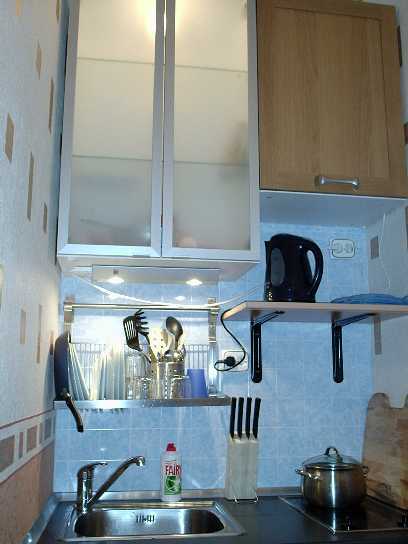 This Wohnung can sleep 2 couples. 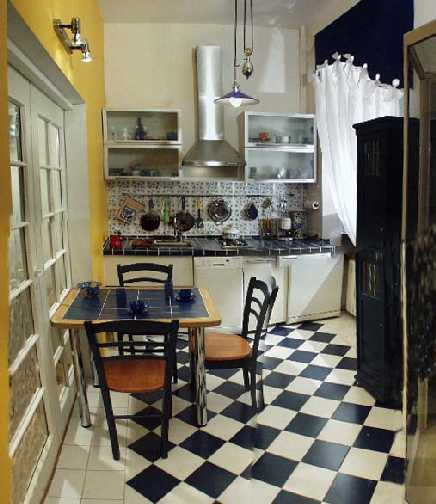 This western-standard Wohnung is situated on the main Sankt-Petersburg street - Nevsky Prpspect, between Ploshad Vosstaniya and Ploshad Alexandra Nevskogo metro stations. Entrance from a quiet yard, soundproof windows facing the yard - this enables no street noise inside the Wohnung. 5th store of the 6-storeyed building. 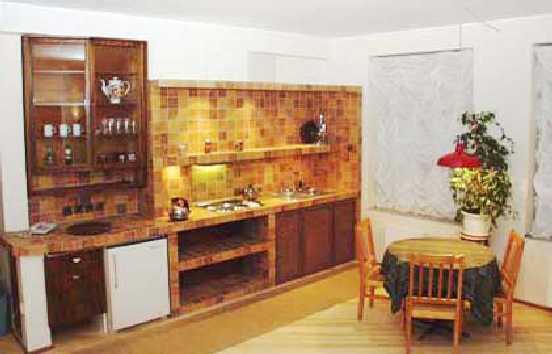 The Wohnung features kitchen-living room and a bedroom. 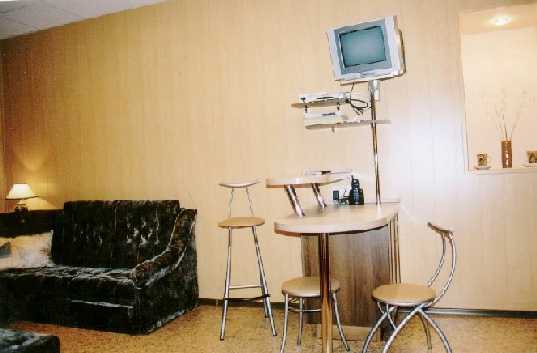 Fully equipped kitchen, satellite TV, conditioner. 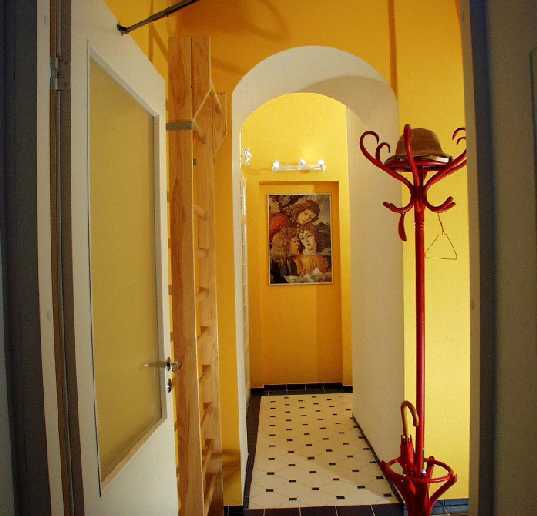 The Wohnung can accommodate up to 2 couples. Long term rent is welcome. 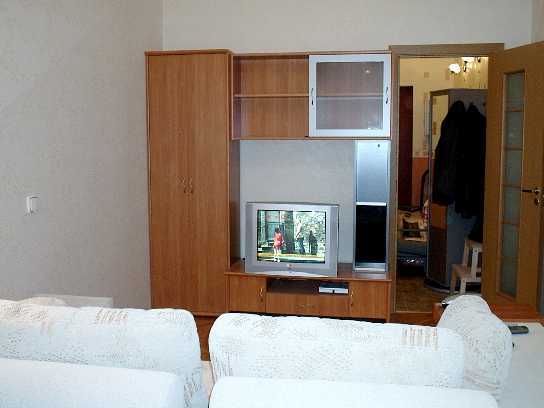 Comfortable Wohnung located in the very city centre of Sankt-Petersburg, only 2 minutes walk from Nevsky Prospect and 5 minutes from Moscow train station. 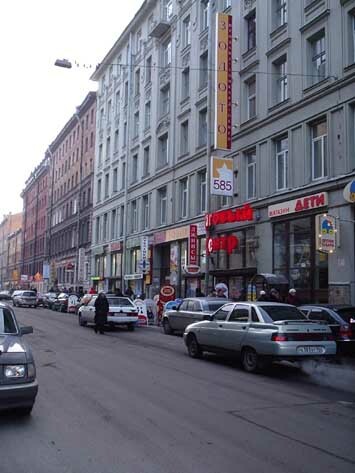 Nearest metro station is "Mayakovskaya" which is also 2 minutes walk from the Wohnung. Key-lock entrance to the house, first floor, soundproof windows facing quiet yard. 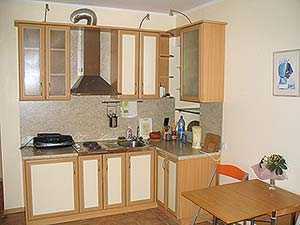 The Wohnung features all what might be needed for a comfortable stay - equipped kitchen, TV, etc. 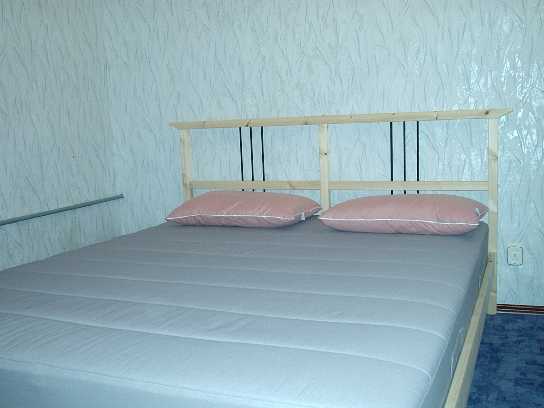 Ideal for a couple, but can sleep 3 persons. One of the best quality-price combinations. 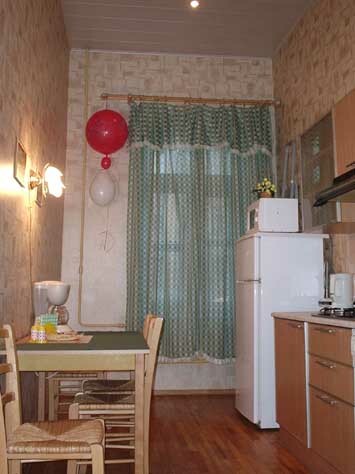 Long-term rent is possible. Gemutliche, gepflegte Wohnung auf dem 14 Stock des 15 Stockiges Hauses auf der Vassilij-Insel. 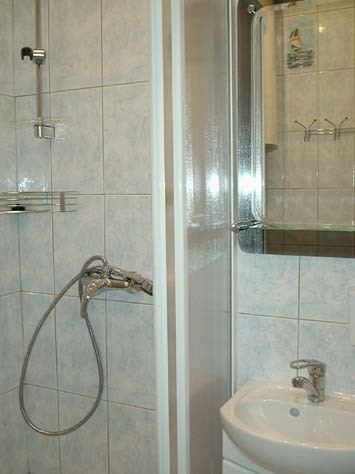 Maximale Gastezahl - 4. 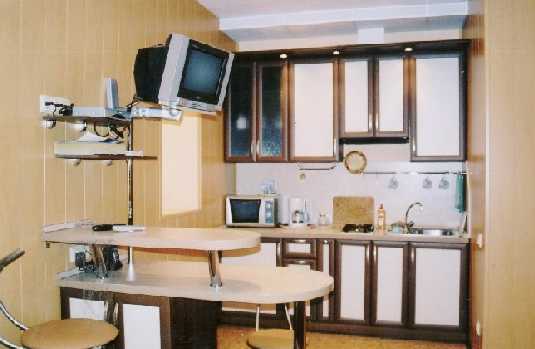 Equipped kitchen, TV. Das Haus liegt dem Hotel „Pribaltijskaja" gegenuber und in 200 Meter vom schonen Kuste der Finnischen Meerbusen. 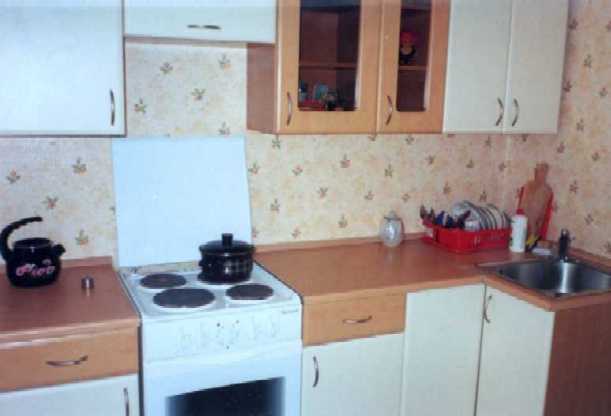 Sie wohnen also auf der Kuste! Schones Aussicht aus dem Fenster. 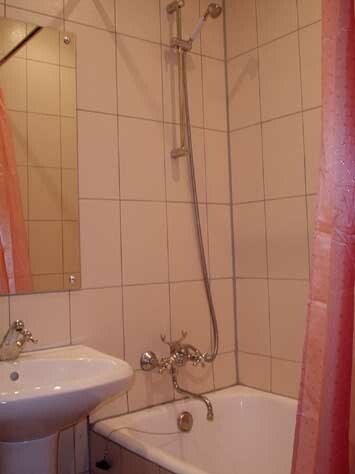 Dank dem Hotel, gibt es in der Nahe viele Bars und Restaurants und Clubs, vo man ausgehen kann, aber dieser Ort ist auch schon ruhig im Vergleich zum hektischen Zentrum. Langfristige Miete ist immer moglich. 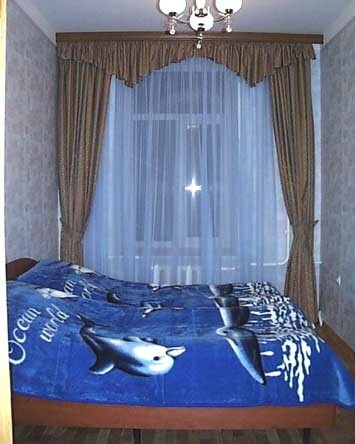 Wir konnen ihnen auch ein zimmer bei Gastfamilie in Sankt-Petersburg besorgen. Miete betragt dann 25-35 Euro/Tag oder 250-400 Euro/Monat. 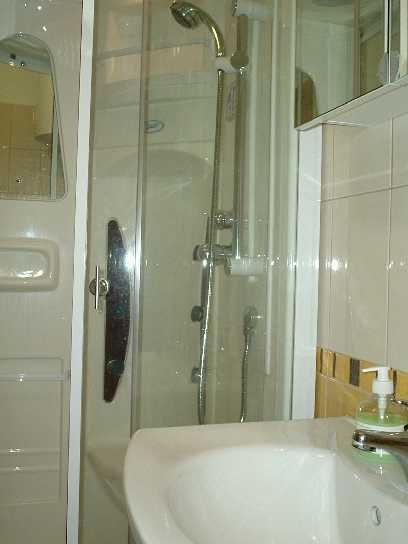 17, GDANSKAYA ST. (Udelnaya metro) - 1 Zimmer in a 3-zimmer Wohnung, Miete - 35 Euro/Tag, 250 Euro/Monat, up to 3 guests. All prices include our commission. Melden Sie sich bei uns um zu erfahren, was wir Ihnen anbieten konnen. Please click here to be told about updates. Your address will be kept strictly private.